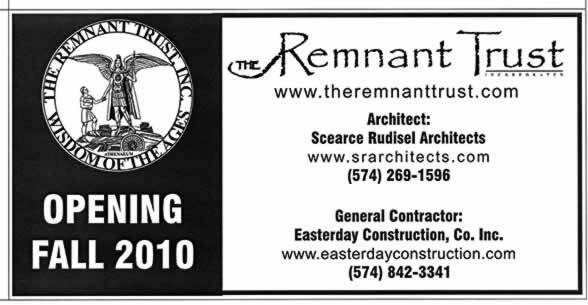 We are about to start a project for The Remnant Trust in Winona Lake. This is a small remodeling project that has some extremely tight specifications due to the delicate materials that will be stored here. Humidity and temperature fluctuations will have to be kept to a minimum. We are working with Scearce Rudisel Architects on this project and look forward to working with them and The Remnant Trust. We are pleased to have been selected for completion of this work.